Our store began over forty years ago by Melba Walton, an entrepreneur who had a sincere passion for antique jewelry. 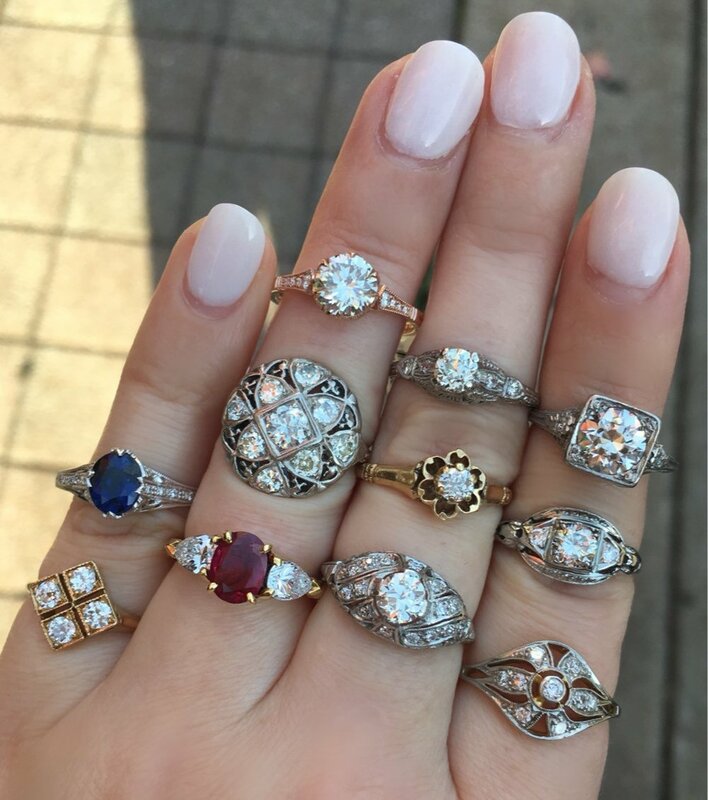 Today, Walton's Antique and Estate Jewelry has become a staple to the downtown Franklin community. Specializing in pre-1940's antique and estate pieces, Walton's maintains the foundation on which Melba created the store; a place where all are welcome to share in the love and admiration for pieces of one of a kind jewelry. We are open Tuesday through Saturday 10:00 am to 5:00 pm. Come on in and discover, or rekindle, your passion for antique jewelry! Fresh additions just added to our website! Shop these beauties HERE and HERE. Jaw droppingly gorgeous 4.07 carat Old European cut diamond ring set in a beautifully detailed platinum setting. Shop this stunner HERE. Side view of the 4.07 carat Old European cut diamond ring. Shop this beauty HERE.